I've been meditating every day this week and I feel really good. I have a lot going on right now and quite a bit of stress, so having a practice that I can turn to when things get a bit hectic is always a good idea. 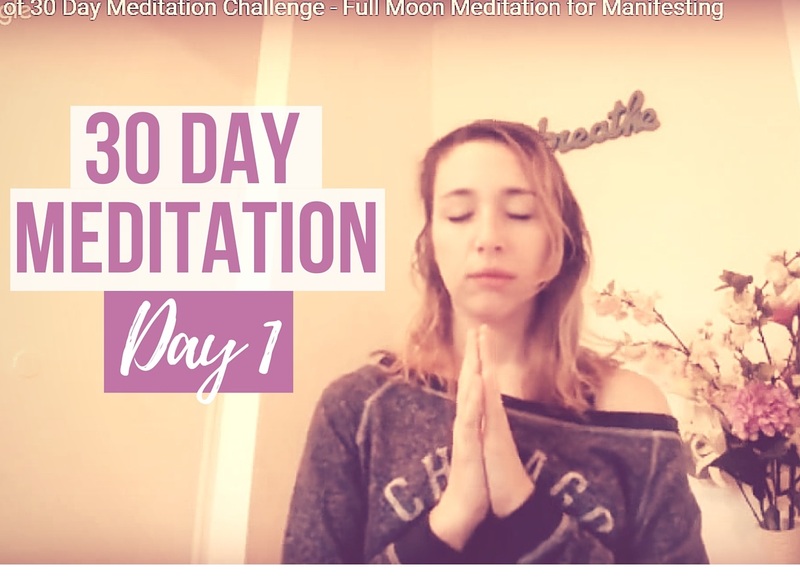 I've been enjoying it so much that on impulse I just decided to host a free 30 day meditation challenge on my youtube channel and on my facebook page! CLICK HERE to watch the intro video and learn more about the challenge. Every day I will be live streaming these meditations but if you miss the live broadcast you can always watch the replay, all the videos will be up on my youtube channel. This morning was Day 1 and I focused on a Full Moon meditation to harness creative energy and manifest our dreams into reality! It was really powerful and a fantastic way to start the day.